American Music Educators is a curated group of professional artists/educators who speak about the craft of writing, recording and performing American music. Our professionals focus on nurturing American music history, the evolution of music styles, instruments, songwriting, civil rights, theater and state presentations and more through interactive presentations that educate on subject matters and social engagements that surround our American culture. American Music Educators’ are rich storytellers whom interact in an engaging format and are adept at speaking to all age groups. All have honed the talent of teaching as much as the art of performing. All are experienced in collegiate education and are experts in the field of American music. Whether it’s discovering the past, the present or the future, American Music Educators’ are qualified. American Music Educators are here to provide programs that educate whether already written or designed just for you. During her teaching career, Gaye moonlighted as a musician. By maintaining the blues legacy, she now sees herself as a contemporary griot or storyteller, keeping the history alive, delivering messages of empowerment, ministering to the heartbroken and finding joy in the mundane. She was a founding member of Saffire- the Uppity Blues Women who became an American musical treasure with a very big fan base. They remained together and continuously toured over 25 years. A dynamic speaker and a natural teacher, Gaye Adegbalola can engage, provoke, and inspire just about any audience. 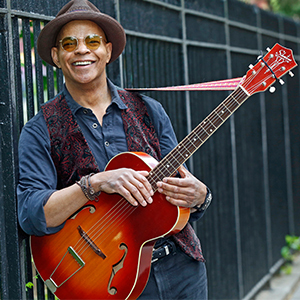 Guy Davis once said, “I like antiques and old things, old places, that still have the dust of those who’ve gone before us lying upon them.” Blowing that dust off just enough to see its beauty is something Guy has excelled at for over thirty years of songwriting and performing. It’s no wonder his reverence for the music of the Blues Masters who’ve gone before him has been evident in every album he’s ever recorded or concert he’s given. Guy was awarded the Robert H Chambers Award for Excellence in the Traditional Arts for 2017. National Council for the Traditional Arts, Everyday Theatre, Art and Drama Therapy Institute, Augusta Heritage Workshop, Blues Week, Centrum Blues Week, and Lorton Youth Center. 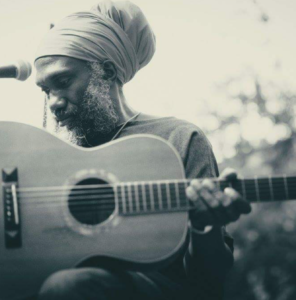 Corey Harris has earned substantial critical acclaim as one of the few contemporary bluesmen able to channel the raw, direct emotion of acoustic Delta blues without coming off as an authenticity-obsessed historian. Along with Keb’ Mo’ and Alvin “Youngblood” Hart, he raised the flag of acoustic guitar blues in the mid-1990s.Although well versed in the early history of blues guitar, he’s no well-mannered preservationist, mixing a considerable variety of influences – from New Orleans to the Caribbean to Africa – into his richly expressive music. Through Bates College in Maine (where he majored in anthropology), Harris traveled to Cameroon to study African linguistics; during his time there, he soaked up as much African music as possible, becoming entranced by its complex polyrhythms. After returning to the U.S., Harris taught English and French in Napoleonville, Louisiana. In 2007, he was awarded a MacArthur Fellowship – commonly referred to as a “genius award” – from the John D. and Catherine T. MacArthur Foundation. The annual grant, which recognizes individuals from a wide range of disciplines who show creativity, originality and commitment to continued innovative work, described Harris as an artist who “forges an adventurous path marked by deliberate eclecticism.” That same year, he was also awarded an honorary Doctor of Music degree from Bates College, in Lewiston, Maine. 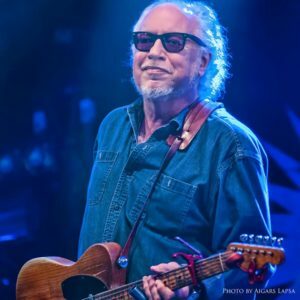 Bob Margolin is already known as one of the most visible musicians, both on today’s Blues scene and historically as Muddy Waters’ guitarist from 1973-’80. On his own he has won two Blues Music Awards for Guitar as well as the 2017 Best Male Traditional Artist Award. Touring worldwide, he also has been writing columns for Blues magazines for more than 20 years, winning a 2013 Keeping the Blues Alive for Journalism and leading workshops and “Evening With Bob” events for Educational Institutions and organizations worldwide. Drawing on an ability to entertain while educating and flexibly interacting with his audiences, Bob has been successful at Blues guitar and general instructional events. Often the workshops are linked to his shows. Many years of Raw Chicago Blues guitar instructions at Jorma Kaukonen’s Fur Peace Ranch. For the Pinetop Perkins Foundation Masterclass Workshops Bob, also on the Board of Directors, conceived and taught the guitar workshops for many years, the Recording Workshop Program for two years, and continues as the Musical Director for the workshops. In 2017, Bob participated in the workshops and concerts at Guitar Town Copper Mountain in Colorado, with accomplished guitar players from a wide variety of genres. Bob represented the Blues. In 2007, 2008, and 2010 Bob presented workshops with Howlin’ Wolf’s legendary guitarist, Hubert Sumlin for National Guitar Workshops. 2018 “Chicago Blues Slide Guitar” will be published by Hal Leonard Corp.
Bob Margolin loves to jam at his shows and reveal how guitars can interact together and with other instruments in performance. He entertains and uplifts the chops and musical approach of his workshoppers. Rory Block is a performer, a published author [“When A Woman Gets The Blues’], and a master educator. She can speak about her career, her book or perform master slide workshops. 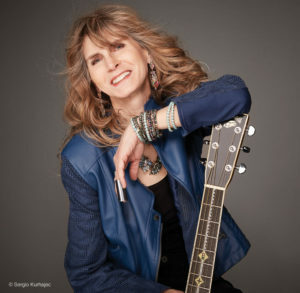 As a master of the Piedmont style fingerpicking her slide workshop offers an in-depth examination of techniques, tones, and styles possible with slide playing. 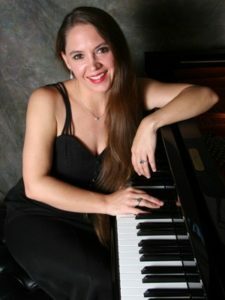 Her workshops analyze and implement methods to obtain the cleanest sound, the best vibrato, individual notes, dampening and shimmer, she teaches how to navigate the neck both up and down, plus numerous options and ideas for creating solos and backup riffs. She discusses the choice of slides- metal, glass, ceramic, etc, and discuss which finger to use- pinky thru first, full finger or short slide, customized for each student. All levels are welcomed, as she covers the territory from A to Z. Personal attention always offered to anyone with questions as the goal is to provide useful information for everyone. Rory seeks to open new doors and help players of every level make significant progress. Nicknamed “Little Boogaloo” by her Mississippi mentor Boogaloo Ames, Eden Brent is much more than her signature boogie-woogie piano and juke-joint holler. 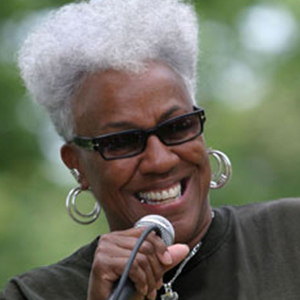 She is a celebrated songwriter and dynamic performer, with numerous nominations and awards including eleven Blues Music Award nominations since 2009 and three BMA trophies. She has released four solo albums: Something Cool 2003; Mississippi Number One 2008; Ain’t Got No Troubles 2010; and Jigsaw Heart 2014 and is currently on the Yellow Dog Records label. In addition to her four solo albums, Eden recorded The Brent Sisters Party Dress with sisters Jessica and Bronwynne, also songwriters. Released in 2012, the album is a collection of songs written by their late mother, Carole Brent and a collection of holidays favorites, An Eden Brent Chrismas 2018..
Joe Krown is a resident and is based out of the city of New Orleans. He is a New Orleans styled piano and Hammond B-3 player. He has been nominated and won a handful of New Orleans Big Easy Awards: 201 & 2004 for the Blues category and two in 2009 for the R&B category. From September 1996 to June 2001, he held the Traditional Piano Night slot at the Maple Leaf Bar in New Orleans, which was once occupied by Professor Longhair and James Booker. Joe followed that strong tradition with his debut solo piano release Just the Piano…Just the Blues (1998), the follow-up CD, New Orleans Piano Rolls (2003), and his latest solo piano effort, Exposed (2012). 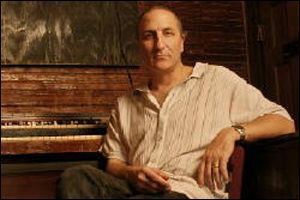 Joe released one piano trio CD in 2007, Old Friends, a New Orleans styled boogie woogie piano trio. Joe has been a headline performer at WWOZ’s Piano Night during the New Orleans Jazz & Heritage festival every year since 1997 and became the evening’s Producer in 2017. In the fall of 2007, Joe was invited to be a feature artist in the Solid Blues Tour. The tour was a 38 U.S. city tour in October and November 2007 and it featured Mavis Staples, Charlie Musselwhite, the North Mississippi All-Stars and Joe. Joe performed a 20-minute solo piano set featuring music from his latest CD Old Friends, and then he joined the North Mississippi All-Stars backing up Mavis Staples and Charlie Musselwhite. Joe made his acting debut in the HBO series Treme. He did a scene in Season 1, episode 4; “At the Foot of Canal Street” (air date 5/2/10) and Season 3, episode 5; “I Thought I Heard Buddy Bolden Say” (air date 10/21/12). He also has music from some of his CDs featured on the show. 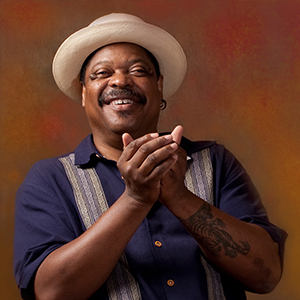 After the untimely passing of the legendary great Allen Toussaint in November 2015, Joe was selected to fill the maestro’s chair by playing piano with Toussaint’s band backing up greats like Bonnie Raitt, Aaron Neville, Irma Thomas, Dr. John and more at the 2016 New Orleans Jazz Fest, Hollywood Bowl, Midsummer swing at Carnegie Hall and more. Joe joined the two time Grammy nominated, platinum record selling Kenny Wayne Shepherd Band as the full time piano/organ player in June 2017 and continues to tour the world with Kenny and his band. There are many more accolades to Joe’s career and these are merely snippets of what makes him the musician and respected educator he is today. Although Scales’ writing produces songs that are ultimately accessible and danceable, the compositions can be remarkably complex and difficult to perform. 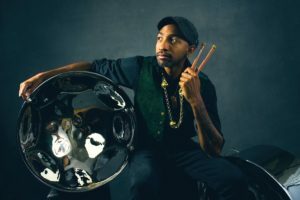 As a result, the power trio whimsically named Jonathan Scales Fourchestra has always had a fluid lineup top-notch musicians, and even included an “all-star” version with bassist MonoNeon (Prince, Ghost Note), drummer Robert “Sput” Searight (Snarky Puppy, Snoop Dogg) and percussionist Weedie Braimah (Trombone Shorty, Nth Power), as well as a number of other talented marquee value players. Throughout these changes, Scales has demonstrated remarkable perseverance and persistence, a topic that he presented in a TED Talk, while continuing to write and develop his craft and touring the North American and European club and festival circuit—as well as dates in Japan, Central America and The Caribbean.